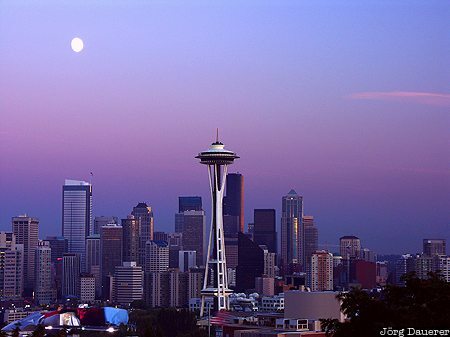 The rising moon over the Skyline of Seattle, Washington on the northern part of the Pacific coast of the United States. This photo was taken from Queen Ann after sunset in late September of 2004. This photo was the image of the month in September of 2017. This photo was taken with a digital camera.